This free shift schedule template is a type of document designed for the employee’s shifts during work hours. It’s very helpful, considering that there are some employers out there who will base the salary of their employees on the hours in which they’ve worked. With this template, you will be able to clearly see the timetable and the rotating hours in which the employees will follow. Our free shift schedule template can help you deal with the stress of keeping up and tracking the working hours of the employees, which will give you a huge advantage because it keeps you organized and oriented with the performance of your workers. 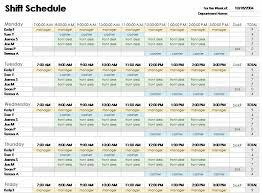 With this shift schedule template, there are many details and information that needs to be related accordingly to the hours in which the employees will work around. The data needs to be very formal and precise because without it, there might be issues and problems rising within weeks of payroll. 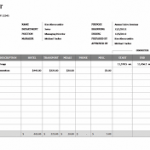 In the template, there is a simple format where the section for the details concerning the department of the employee, the period in which the work started, and the elements concerning the payroll per hour and per head. There is also a list of the payroll for the maximum pay, the average pay and the minimum pay. After the information regarding the department and the breakdown of the payroll, there is a table solely meant for the schedule of the employees. There is a limit of ten people in the first column, which is meant for the names of the workers, which will help you determine the amount of pay you’ll give to each person. Below each employee is the hour rate in which they’ve worked and the amount of pay they’ll expect to receive. After the first column are seven other columns which represent the days ahead. The table clearly envisions the hours and the positions to be taken by each one of your employees. 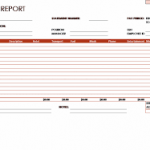 In this specific shift schedule template, there are three sheets overall. First, the schedule in which you will plot all of the details regarding the rotating schedules of each and every one of your employees. In the second sheet is the employee-shift-position in which you have a precisely more detailed table for information regarding the rate per hour, the hours allowed and the time in which your employees are expected to enter and exit their positions. In this template, there are four positions to be followed. Lastly, in the final sheet, there are instructions concerning additional information on how to work the template, such as where to input the data and etc.